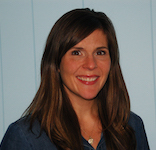 Liz has been an occupational therapist for over 12 years after graduating from Elizabethtown College in 2001. She began building her practice among this talented group of therapists at Pediatric Therapeutics in 2003, while she continued to work in the hospital setting (Children’s Specialized Hospital – inpatient, outpatient, feeding team) and later on in school systems. Since 2007, she has also worked part-time with Intensive Therapeutics, a non-profit community-based organization, helping develop and provide a variety of group and intensive therapy programs. 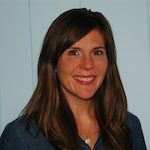 Liz has received her SIPT certification, completed an Intensive Mentorship Program course in Sensory Integration with the SPD Foundation and is a certified provider of The Listening Program. She is working towards completing certification in Brain Gym. Having performed and studied dance, music and theatre from childhood throughout college, she has always had a strong interest in helping children learn through movement and music and finds herself weaving those skills into her daily practice. At Pediatric Therapeutics, Liz helps co-lead The Zones of Regulation Group and has developed both creative movement and summer school readiness groups. She also coordinates staff and community education programs and has provided several workshops on Sensory Integration for schools and educational organizations. Liz is thrilled when she has the opportunity to link clinical experiences with academia to mentor and empower future practitioners. She guest lectures annually at Kean University and helps supervise Level I and II fieldwork students. Additionally, Liz spent time working with the Discovery Toys company and enjoyed educating families and colleagues about the value of object play in brain development and learning. Outside the love and passion that drives her OT career, Liz has a very full family life with her husband, 6 year old son, 3 year old daughter and golden retriever, among a large, supportive, and local extended family. She dedicates much of her passion and inspiration for her work to her cousin Tracy, a young woman with autism.